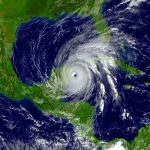 awning maintenance Archives - Delray Awning, Inc.
We do not recommend taking down your awning unless there is a hurricane warning with the probability of winds over 85 miles per hour, in general. 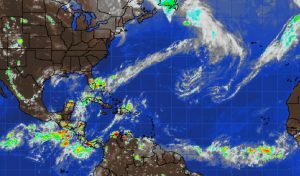 Track the weather and most recent hurricanes in the Atlantic >>> HERE. Since we have been in business for over 50 years in Florida we can not possibly do hurricane service on all of the awnings we have installed. Instead, we would like to be of service to you and go over the procedure, prior to any storms approaching, to remove (if needed) the fabric cover from the framework with a service person that does hurricane preparation for you. The next step is to cut all the ropes where they attach the fabric to the frame, which can be done above the grommets (brass or nickel eyelets). The rope will need to be replaced so don’t be concerned about saving it. If your awning is attached to your home or building, after you cut the ropes you may be able to slide the awning out of the slotted awning track attached to your building. The final step is to store your awning in your garage or building. If your area does get a hurricane, failure to take these steps may result in damage to the awning frame and/or your building. Remember: Please do not remove your awning unless your area is under Hurricane warning and it is imminent that a hurricane is headed your way! After a storm has passed, reinstallation of awnings and canopies can begin. If you have contracted with Delray Awning to uninstall and reinstall your awnings we will begin by reinstalling our hotel and business customers first, so they can reopen to the public, so please be patient. Please feel free to contact us if you have any questions, or for further advice.